Serendipitous Rescue -- accidental heroism paid forward. It was a time before computers, cell phones, DVD's or color television. Children played outside, and doctors made house calls. World War II had recently ended, and people were optimistic. A boy and a dog begin an adventure in 1951 lasting 19 years, producing romance and a successful business with sequences of accidental heroism paid forward along the way. The boy becomes a man and discovers that he is linked by a special house to a love story dating back to 1919 that played a previously unknown role in shaping his destiny in powerful ways he could have never imagined. These are the chronicles of Miss Nancy, JJ and Laddie, and others who struggled through the Great Depression and World War II -- a series of stories dealing with wealth, tragedy, poverty and romance. The backdrop of actual historical events portrayed here, along with historical figures of the era, is meant to be true and accurate. The characters in these stories themselves are fictional. 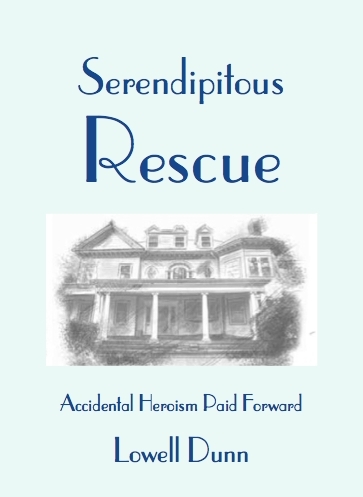 Serendipitous Rescue is 433 suspense-filled pages of adventure and inspiration. Page numbers shown on the pages and in the table of contents remain those of the full book to give an indication of the scope of this epic narrative. 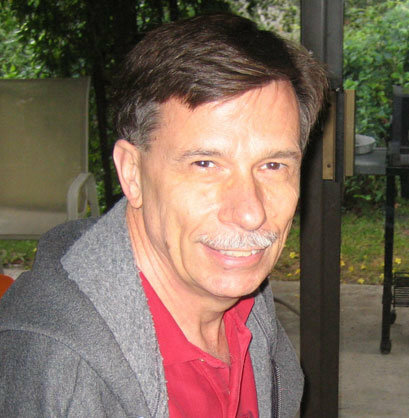 Lowell Dunn is married to the former Karen Rush, and is the father / stepfather to six children and fourteen grandchildren, as well as a number of dogs, cats, birds, and other animals. After a successful career in software development and a lifetime of informal storytelling to younger siblings, around camp fires, and to children and grandchildren, Serendipitous Rescue is Lowell's first effort as an author. It is meant to be a tribute to his mother, Lois Olsen Dunn. The stories cover an era when she would have been growing up and then raising a family of her own. The writing style here is meant to reflect the kind of story that his Mom liked. Orders direct from publisher orders are invoiced through http://www.wordwiz72.com.